I think I grabbed a Primitivo from Puglia, Italy, a Grenache/Tempranillo blend from somewhere in Spain, and a California Pinot Noir that was on an end-cap display. 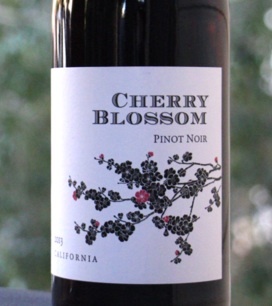 I usually buy imports from Joe's because they are usually the inexpensive items that tend to show a better varietal integrity, so I held little hope for the little $3.99 Pinot from California. After all...How good could a Pinot Noir be for under five bones?? The wine was soft, light, elegant, and showed good purity of fruit. The cherry essence that the wine exudes both on the palate and the nose were very much fitting of the name on the label. There was also a bit of spice brought on by some type of oak treatment whether it was oak chips or oak staves, I have not a clue....but hard to imagine barrel fermentation at this price point. However they accomplished this nicely balanced wine, I will be returning to Trader Joe's tomorrow to pick up a case. It is great to find good wine at that price. I agree with you that this wine is great! I bought a bottle last week and got four more today. I especially enjoy the softness which is very rare for wine of this price range.